Polycarbonate roofing is the roofing product of choice for a wide range of applications including pergolas, garages, sheds and commercial buildings. With a huge range of colours and finishes, the team from Tandem Trades can help you choose the right polycarbonate roofing solution for your needs and you are guaranteed that our experienced roofing team will deliver a quality finish at the right price. 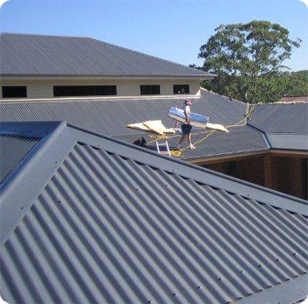 We are very experienced in providing residential, commercial and industrial customers throughout Sydney with innovative, modern and cost-effective polycarbonate roof installation solutions - and no project is too small or too large for our professional team. For an obligation free quote and evaluation of your polycarbonate roofing installation needs, please contact us today.